Many universities worldwide now require established and novice scholars, as well as PhD students, to publish in English in international journals. This growing trend gives rise to multiple interrelated questions, which this volume seeks to address. Randall Fallows wrote this book to give students a better understanding of how to discover, develop, and revise an analytical essay. This is a great text to prepare any student to write analytical essays for the argument and persuasion courses. The book addresses theories and practices advanced by some of the most innovative and active proponents of ePortfolios. The authors address the ways in which ePortfolios can facilitate sustainable and measureable writing-related student development. A collection of essays for use in the first year writing classroom, all written by writing teachers for students. Topics include academic writing, motives for writing, rhetorical analysis, invention, writing centers, narrative, patchwriting, etc. Designed for students who have largely mastered high-school level conventions of formal academic writing and are now moving beyond the five-paragraph essay to more advanced engagement. It is well suited to composition courses or first-year seminars. The book explores the ways in which reading can and should have a strong role in the teaching of writing in college. It draws on broad perspectives from international work to help readers understand why reading should be re-united with writing. This text builds writing, reading, and critical thinking, and combines comprehensive grammar review with an introduction to paragraph writing and composition. The book addresses each concept with clear, concise and effective examples. Both novice and experienced teachers of writing will learn from the contributors' practical suggestions about how to fashion unique assignments, teach about proper attribution, and increase students' involvement in their own writing. This is a fresh and approachable guide helping students to write better essays at university. It addresses students directly and is packed with practical information. Examples from real essays are included to make the text more approachable. This is a new Carnegie Corporation report published by the Alliance for Excellent Education which finds that while reading and writing are closely connected, writing is an often-overlooked tool for improving reading skills and content learning. This book provides a plain guide to ways of producing a dissertation with minimum stress and frustration. 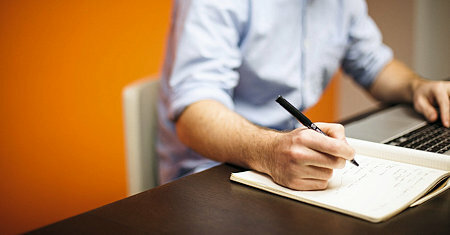 It covers such areas as choosing a subject, planning the total work, selecting research methods and techniques, written style and presentation. This text introduces you to some of the most important aspects of writing in the world of science, technology, and business; in other words, the kind of writing that scientists, doctors, computer specialists, do as a part of their regular work. A textbook in first-year college composition programs. It is a practical guide for students who want to bring their writing skills up to the level expected of them. The authors have avoided complicated jargon in favor of plain language.